English Kills Voyage journeys into the waters of the Newtown Creek – one of the most polluted bodies of water in the United States – to explore the English Kills, a contaminated tributary located at the very end this toxic Superfund site. 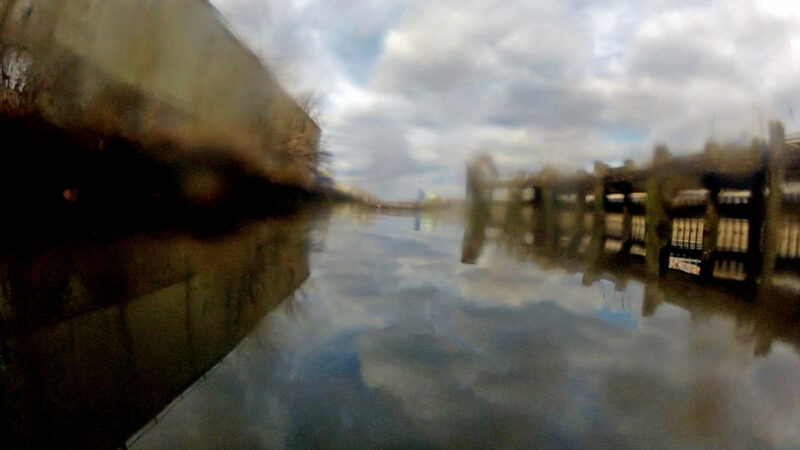 Filmed entirely using remote control boats, this film was a project of The Newtown Creek Armada, a public art project exploring the past, present and future of the Newtown Creek. English Kills Voyage has screened at the Greenpoint Film Festival(2013), the Brooklyn Arts Council’s Scene: Brooklyn festival(2014), Biome Arts’ Paper Forrest on Swale (2016), and in numerous galleries.